At the 2016 Annual General Meeting held at North York Civic Centre, Joel Alleyne was returned as President and the following elected to the board of directors: Hugh Graham - Vice President, Jessica Carrington - Secretary, Shaneen Murrell - Treasurer, Ms. Juan 'Pecky' Blackman, Sharon Cumberbatch, Martyn Forde, Susan Grogan, Caroline Hartley, Peggy Murray and Mary Rouse. Joel Alleyne has worked with management across the Americas and Europe in non-profit organizations, school boards, professional service, health care, insurance, pharmaceutical, finance and government over the last thirty years. His work has included work with Senior Executives on Business and Organizational Strategy as well as Strategic Information and Technology Planning. 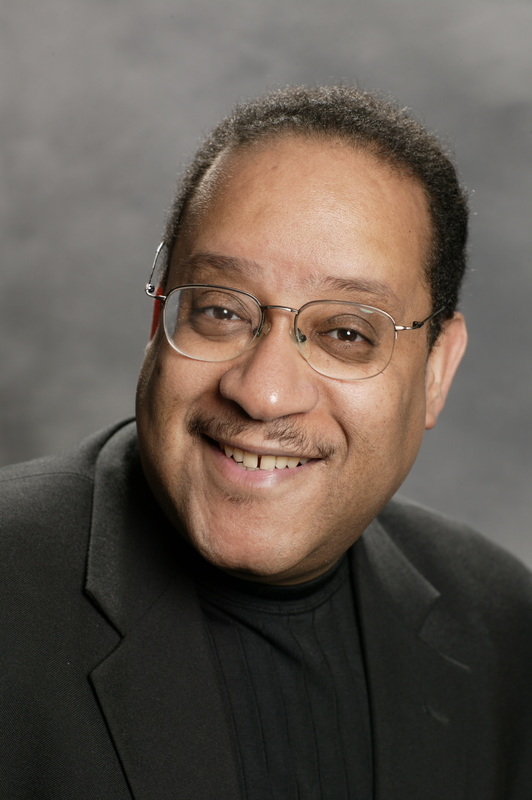 He has worked with non-profit organizations specifically in the areas of Strategic and Organizational Planning., Information Management, and Knowledge Management. He is Chairman and principal shareholder for Crucible International Inc. - a Barbados based International Business Corporation. He has been an active supporter of the Barbados Ball in Canada over many years. He has also been a supporter of programs and events from Invest Barbados in the US, UK and Canada. As an employer in Barbados and Canada, Joel has a strong interest in the Diaspora. Read More. Kim Gittens was the first President of Barbados Ball Canada Aid. 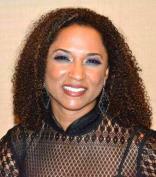 She was also Chair of the Finance Committee for the inaugural Barbados Charity Ball held in 2004. Barbadian by descent, Kim was born and raised in Toronto. On graduating from high school she was awarded several scholarships, including the Harry Jerome Scholarship and the Leon C. Bynoe Memorial Scholarship and graduated from the University of Waterloo with a Bachelor of Arts Degree (Honours Chartered Accountancy Studies). A Canadian Chartered Accountant since 1995, Kim started her professional career at Ernst & Young. She subsequently moved into industry and held various senior financial and risk management roles at several large Canadian organizations, including Shoppers Drug Mart, Hudson's Bay Company and Rogers Broadcasting Limited. Kim now resides in Bermuda where she has been since January 2005. She is Chief Financial Officer and Chief Administration Officer of a major wholesale and retail organization in Bermuda. Treasurer of Across Boundaries, an ethno-racial community mental health centre in Toronto. The late John Rollock was a career civil servant in the Government of Ontario, where he held the post of Assistant Deputy Minister and Chief Information Officer for the Justice Cluster of the Ministries of the Attorney General, Solicitor General and Correctional Services. After retiring from the Government, John continued to work as a consultant in the Information Technology field until his sudden death in 2009. 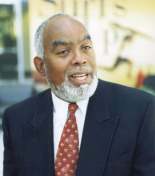 John was a founding member of Barbados Ball Canada Aid (BBCA) and a driving force on the BBCA's board. In addition, he was a member of the board of Centennial College and the Harrison-Queen's Alumni Association, where he was the chair of the Communications Committee. In John's memory and appreciation of his substantial contributions to the BBCA, our scholarship program has been named "The John Rollock Memorial Scholarships". Jessica Carrington has been a member of Barbados Ball Canada Aid's (BBCA) board of directors since BBCA's inception in 2004. She served as president in 2007 and 2008 and continues to play an active role on the Board and in the organizing of BBCA's annual Barbados Charity Ball. 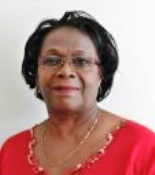 President of Barbados Overseas Community Canada from 1997 to date, she is a past president of the National Council of Barbadian Associations Canada (NCBAC) and is currently NCBAC's Secretary. Jessica retired from the Toronto Transit Commission in 1998 after 30 years of service and went on to be an independent financial services representative for a major financial services provider. She is married and has two children and three grandchildren. Barbara Trieloff-Deane grew up in Christ Church, Barbados and attended Mrs. Scott’s Primary School, Codrington High School and Queen’s College before going on to McMaster University, Canada, where she earned a Double Honours in French and English, a Master of Arts and a PhD in English. Dr. Trieloff-Deane is also a Certified Financial Planner, Certified International Wealth Manager and Fellow of the Canadian Securities Institute. 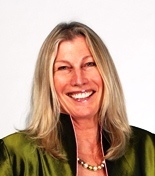 Dr. Trieloff-Deane is Vice President, Learning & Development at Qtrade Financial Group. Previous roles include Director, CIBC Retail Markets Training & Development, General Manager-Imperial Service and Director-Commercial Banking at CIBC. She has been a conference speaker, on language and theatre, in France, U.K., and Canada. Within the financial services industry, she has presented at the Canadian Association of Financial Planners national conference and at the Financial Planners Standards Educator Conference. Read More. Born in Barbados, Steve grew up in St. Michael but found himself in the parish of St. Lucy where he met and married Annis. They have raised two grown children, Steve and Rochelle. Steve humorously refers to his life as in two phases: BC, before Canada and AB, after Barbados. In the BC phase he was schooled, married and spent the first 8 years of his 38 year banking and finance career with Barclays Bank. The AB phase commenced in 1979 upon moving to Canada where he and Annis started their family and Steve joined the Business Development Bank of Canada. ​He enjoyed a career spanning 30 years with BDC, holding various positions over the years. One of his most satisfying contributions was helping to establish the Diversity Action Committee which was implemented to monitor and effect change to ensure fairness and diversity at the bank. Steve retired from BDC where he was Vice President, Credit Risk Management & Strategic Initiatives. Read more. ​ Jessica Carrington, Franklin Greaves, Grantley Morris, Peggy Murray, John Rollock. ​ Jessica Carrington, Franklin Greaves, Grantley Morris, Peggy Murray. ​ Peggy Murray, Dr. Barbara Trieloff-Deane, Gloria Went. ​ Margaret C. Haynes, Grantley Morris, Peggy Murray, Douglas Stewart. ​ Franklin Greaves, Steve Kirton, Grantley Morris, Peggy Murray, Douglas Stewart. ​ Steve Kirton, Grantley Morris, Peggy Murray, Douglas Stewart. Wayne Leacock, Peggy Murray, Douglas Stewart, Dr. Ian Walker. Don MacKinlay, Shaneen Murrell, David Prescod, Mary Rouse, Dr. Ian Walker. Don MacKinlay, Mary Rouse, Dr. Ian Walker. Caroline Hartley, Don MacKinlay, Peggy Murray, Mary Rouse. Susan Grogan, Caroline Hartley, Peggy Murray, Mary Rouse.